We are saddened to learn that four drunk drivers recently caused serious car accidents in Orange County. The car accidents occurred in Seal Beach, Anaheim, Fullerton, and La Habra during 24 hours from February 9, 2019 – February 10, 2019. 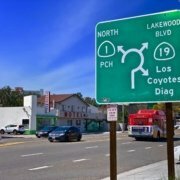 Two of the car accidents (Anaheim and La Habra) led to the wrongful death of innocent people. The other two car accidents (Seal Beach and Fullerton) resulted in numerous people injured, and a fiery explosion at a Seal Beach gas station. This post is designed to raise awareness of these car accidents. Drivers involved in an auto accident with a DUI driver should contact a lawyer right away. Drivers should only use the information contained in this post to consult with law firms that practice personal injury law. We do not advise that readers of this post attempt to resolve a case with any of the insurance companies without the assistance of a lawyer. The first accident involved a drunk driver who took the life of a 54-year-old Fresno man near Disneyland in Anaheim, CA. 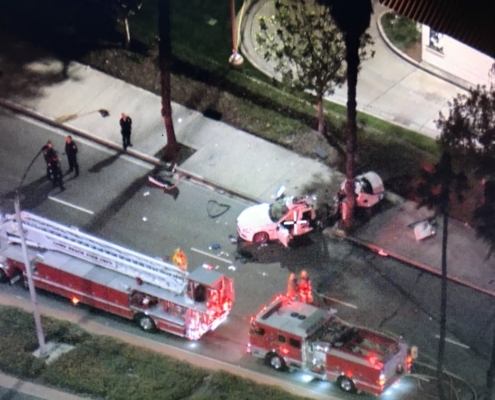 The crash took place on Disneyland Dr. just north of Katella Ave. at approximately 11:04 p.m. on February 9, 2019. The driver of a 2007 Chrysler PT Cruiser was seen driving on Disneyland Dr. where she jumped a curb with her car. The driver of the PT Cruiser then struck a utility box, tree, and pedestrian on the sidewalk. The victim suffered critical injuries as a result of the car versus pedestrian accident. Following the crash, the victim was transported to UCI where he was pronounced dead. The suspect was later arrested on charges of gross vehicular manslaughter while intoxicated and driving under the influence (DUI) causing bodily injury. Then at 1:50 a.m. on February 10, 2019, a DUI suspect drove his car into a crowd of people in downtown Fullerton, CA. The collision occurred at approximately 1:50 a.m. near 100 W. Santa Fe Ave in Fullerton, CA. According to police, the suspect drove his Toyota Tacoma into a crowd of nine people and then hit a tree before coming to a rest on the sidewalk. The pedestrians were injured and stuck underneath the Tacoma. A witness took a cell phone video showing Good Samaritans and firefighters lifting the Tacoma to free the people trapped beneath the truck. Ten people were taken to the hospital with moderate to life-threatening injuries. Fullerton Police arrested the driver on suspicion of drunken driving. The Fullerton Police Traffic Bureau is requesting that anyone with information or video from the incident contact them at 714-738-5313. Later on February 10, 2019, a DUI suspect caused the wrongful death of a driver in La Habra, CA. According to the La Habra Police Department, the crash occurred when two cars met in the intersection of Lambert Road and Idaho Street. Lieutenant Brian Miller said it appeared that one of the cars ran through a red light causing the collision. A person described as being in their late-40s was pronounced dead at the scene. If you have any information regarding this collision, you should contact the La Habra Police Department at 562-383-4300. Finally, a DUI suspect crashed into a Seal Beach gas station at 11:30 p.m. on February 10, 2019. The DUI suspect is a Huntington Beach man who was arrested on suspicion of driving drunk. According to the Seal Beach Police Department, the driver struck a vehicle and gas pump. 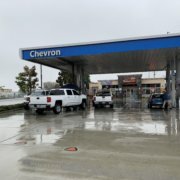 The collision caused a fire at the Chevron located at 2950 Westminster Ave., Seal Beach, CA. The incident resulted in injuries to a customer pumping gas at the station. The crash also caused approximately $100,000 of property damage to the gas station. The Seal Beach Police Department arrested the driver and booked him into the Orange County Jail. Personal Injury Lawsuits and Wrongful Death Lawsuits as a Result of DUI Drivers. Drivers in Southern California are told over and over not to drink and drive. Nonetheless, DUI car accidents happen all too often throughout Orange County. Victims of drunk drivers often suffer severe injuries, and in the worst of circumstances, lose their lives. Victims of drunk drivers are often other motorist or family members that are left behind. Victims of drivers under the influence should take immediate action to protect themselves from further damages caused by the drunk driver. Victims of drunk drivers should immediately call the local police to report the incident. The victim will likely need immediate medical care since car accidents with drunk drivers are rarely minor collisions. Furthermore, the police will hold the drunk driver accountable and ensure that they cannot hurt another driver. Responding police will also create a traffic collision report documenting the circumstances of the incident. Victims of drunk drivers are advised to present the traffic collision report to their attorney before going through the life insurance or car insurance claims process. Victims of drunk drivers should call an attorney as soon as possible. Victims occasionally try to navigate the insurance claims process on their own. Car insurance companies call victims and have adjusters question victims before they have had a chance to assess their damages. Insurance adjusters have a duty to their insured, not the victim. As a result, insurance adjuster question victims with the goal of gathering information that they can use to lower the value of a victim’s case. Victims who contact and retain a personal injury lawyer are considered represented parties. Once a victim becomes a represented party, it is illegal for car insurance companies to make any further contact. An attorney will gather the available facts to prove that the other driver’s intoxication caused the car accident. Attorneys can only make the most of the investigative process if they have all the information available. Bringing the traffic collision report to your initial consultation is essential. Police often include information in their reports regarding witnesses to the incident. Police also usually inquire with nearby residents and businesses who may have captured the event on video. An attorney will then gather the available information and evidence that is not ordinarily available to victims. Attorneys use this information to prove liability and damages. Victims’ of car accidents with drunk drivers have damages that vary depending on if the case is a personal injury or wrongful death lawsuit. Victims of a car accident involving drunk drivers should also consult an attorney regarding the potential for punitive damages. Insurance companies ordinarily will not pay for punitive damages. The reason for this is because insurance policies for negligent acts do not ordinarily cover intentional or reckless conduct. However, an attorney will often be able to utilize the potential for punitive damages against the insurer and drunk driver to enhance the value of the victim’s claim. Therefore, victims need to consult with their attorney about all available damages in order to receive maximum compensation. Contact a Local Personal Injury Lawyer Right Away! In sum, if you have lost a loved one, or suffered injuries from a car accident with a drunk driver, call a personal injury attorney right away. No one article can cover everything that people should know after a car accident. Additionally, car accidents with drunk drivers present unique challenges. 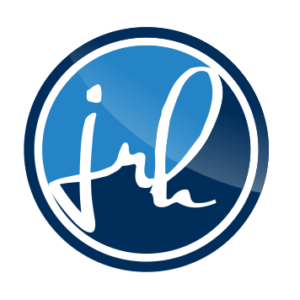 There are many local personal injury law firms throughout Long Beach, Seal Beach, Huntington Beach, and Newport Beach that can help. Contact a lawyer right away to ensure that you receive full justice for your claims. The information contained in this post is for general information purposes only. Nothing on this post, or website, should be taken as legal advice for any individual or case situation. This information is not intended to create, and receipt or viewing does not constitute an attorney-client relationship. If you have lost a loved one in a wrongful death action or have pain and suffering from a personal injury case, we are available to assist. For more information visit our wrongful death page, and car accidents page. For a free consultation, please reach out to our attorneys to arrange a time to discuss your case. All you have to do is go to our site map or hit the big blue button labeled Contact Us at the top of this page!